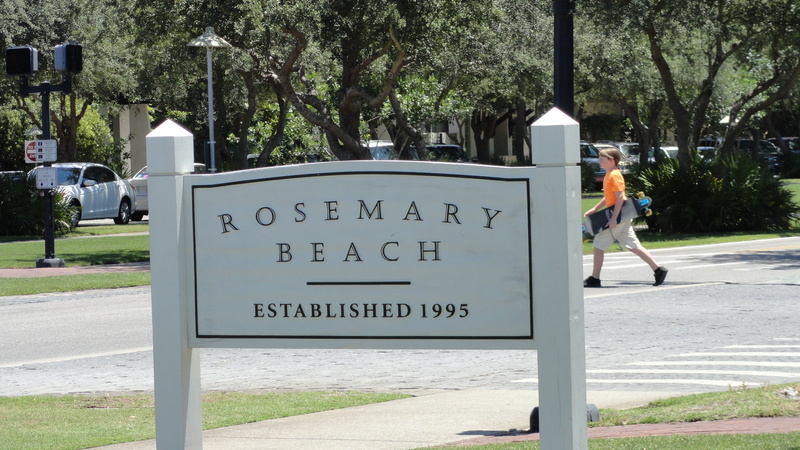 Rosemary Beach was established in 1995 and has become one of the anchor master planned developments along Scenic Hwy 30a. Rosemary sits at the Eastern end of 30a and has some of the best dining and shops. The town Encompasses around 105 acres stretching from the gulf of Mexico all the way to Hwy 98 with 500 homesites and a town center with mix of commercial space and condominiums. When visiting Rosemary Beach one gets the feel of a quaint European town as you walk along the cobble stone streets with gas lanterns. and enjoy the great amenities. Rosemary Beach Town Center offers some of the best dining on 30a with casual places like Cowgirl Kichen, Summer Kitchen and Wild Olives to more upscale like Paradis, Edwards, Havanna and La Crema.. After you have enjoyed your dinner you can stroll to the Sugar Shack and finish the evening off with some ice cream or candy. Shopping in Rosemary is always fun because there are art galleries, a book store, men’s, women’s and children’s clothing stores, a surf shop, jewelry stores, a Rosemary Logo apparel store and much more. Rosemary Beach Community Pools anchor the four corners of town. In the North East corner you have the indoor Sky Pool The Northwest corners offers the Cabana Pool, the Southwest corner offers the Barbados Pool and the South East corner offers the Coquina Pool. Pools are for owners and guests only and are all an easy stroll from any location on property. 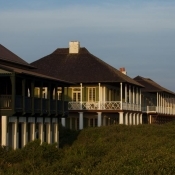 Rosemary Beach Front offers a beautiful stretch of emerald waters and snow white sandy beaches. There are 9 gated and coded Beach walkovers for easy beach access from all areas of the resort. Lifeguards are on duty 365 days a year. 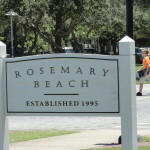 Rosemary Beach Boardwalks, Gardens and Common Areas offer easy walking and biking throughout the resort. The best way to see the community is by bicycle as you wind through the hidden pathways, gardens and boardwalks. Beautiful manicured lawns are spread out around the resort offering gathering spots for a game of croquet, a game of touch football, or arts and craft fairs that run on weekends throughout the year. 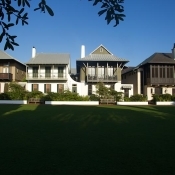 Rosemary Beach Tennis Center has a friendly full time staff offering lessons and clinics. There are 8 clay courts with 6 lighted for evening play. The pro shop is fully stocked with racquets, clothing, shoes and rental equipment. There are restrooms and showers available. This has been rated one of the world’s top tennis destinations. 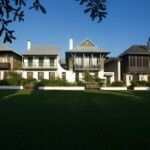 Rosemary Beach, Florida offers some of the finest luxury real estate along Scenic Hwy 30a. Rosemary Beach offers the largest selection of Gulf Front homes in any of the planned communities in the area. The West indies/European inspired architecture is the first thing that catches your eye as you enter the Rosemary Beach community. Rosemary Beach Real Estate offers cottages, single family homes or condominiums for all lifestyles all within a calming laid back atmosphere that has a thriving town center. If you think you want to find your dream home or vacation home contact the professionals here at Homes on 30a.